Blessing others is one way we give thanks to God. 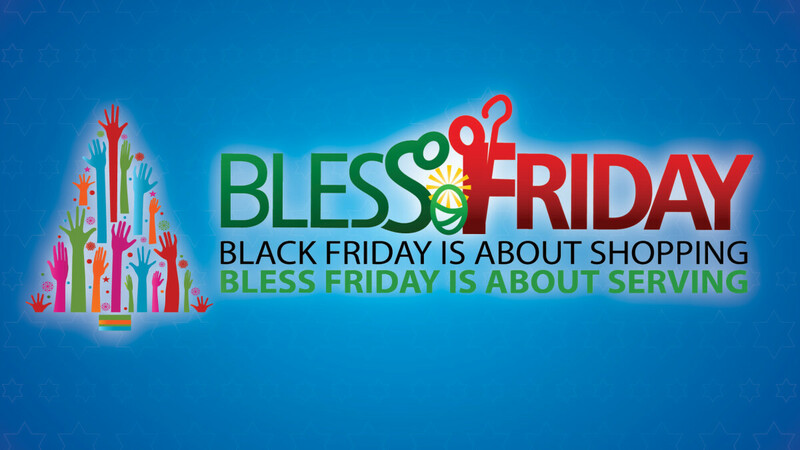 This Thanksgiving season, make plans to be a part of MDPC’s BLESS Friday tradition! There are lots of ways to participate during the week of Thanksgiving below. As of Wednesday, Nov. 21, each of the Ministry opportunities are at full capacity, and registrations are no longer open. Please find an "at home" project for you and your family to enjoy! Bring your completed items to the Sanctuary Lobby on Sunday, November 25. Let us see you serve, MDPC! Share your photos with us by email at or on social media using the hashtag #blessfriday. Help feed hungry preschool children by making non-perishable meal packs for the 4,000 preschool age children that KM feeds daily. Assemble the packs at home and bring to the MDPC Breezeway on Sun, Nov 25. Email Julie Hempel with questions. 1. Fill a gallon-size freezer bag with one of each of the items listed (a #1 item, a #2 item, and a #3 item). 2. Flatten the bag to remove all excess air, and THOROUGHLY seal the bag. 3. On Sun, Nov 25, bring completed bags to the Sanctuary Breezeway. Bag beans and rice, a staple for the over 200 families that visit the pantry weekly on our campus. Bring your baggies to church Breezeway on Sun, Nov. 25. 2. Pour beans and rice into two separate large containers. 3. Fill a baggie with 2 cups of rice. 4. Fill a second baggie with 2 cups of pinto beans. 5. Flatten the bag to remove all excess air, and THOROUGHLY seal the baggie. 6. Repeat steps 3 to 5 until all beans & rice are bagged! 7. Bring filled bags to the Sanctuary Breezeway on Sun, Nov 25. Christmas Shoeboxes brighten the holidays for men served by Houston International Seafarers' ministry. The gift boxes lift the spirits of lonely seafarers in the Port of Houston, confined on board and away from family and home during the holidays. Email Robert Casteel with questions. 1. Fill (pack full, please) a shoebox with items from the list below. 2. Wrap it in Christmas paper. 3. Bring wrapped shoeboxes to the Sanctuary Breezeway on Sun, Nov 25. Share God's love as you prepare and serve lunch to the moms and their children living at Cornerstone Community. Must be in high school or older. Email Trevor Harris with questions. Help feed hungry families. We will work on several projects in HFB's kitchen and warehouse. Ride the church bus from MDPC. Come to MDPC north parking lot at 8:00 AM. Must be 6 years & older. Email Sharon Fox with questions. Take down Thanksgiving decorations, pack for storage, and decorate the campus for Christmas. As we work, we'll pray over the rooms and for the residents and staff. Wear a festive outfit and be ready to spread some good cheer!